It’s still extremely hard to believe that Cave Story was the work of one man. The imagination of Daisuke Amaya seems almost without peer, as the game stands in a league of its own in an over-saturated genre. I thought of reviewing Cave Story as a stand-alone game for our “Games of the Past” series, but I feel as though a majority of our audience (folks with a passion for Japanese / niche games) is likely very familiar with the game. Has everyone played it? Is there anyone among us who has mastered “Hell”? Fortunately, Cave Story has gone from a lesser-known freeware game to something that’s available on almost any platform you can think of. PC, then WiiWare, then DSiWare, then iOS and Steam, and more recently as a full retail game on the Nintendo 3DS. 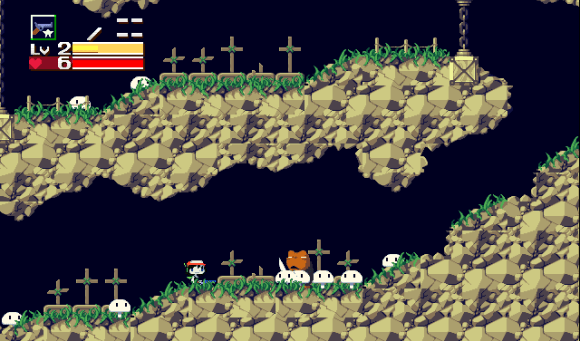 Despite the existence of Cave Story 3D, the game’s re-release on the 3DS eShop is imminent. Truth be told, I’ve poured over $60 into the multiple versions of Cave Story, and I will likely buy the game…again when it’s released next week. What can I say? I love Pixel, and I’m a sucker for bunny-like creatures with swords. This is my declaration: no matter what platform you decide to purchase Cave Story on, you’re guaranteed a wonderful experience. Is the free version automatically the best version? It’s certainly the full experience; the freeware game is not scaled down or cut back in any way. Playing Cave Story with a controller on the big screen or on the go is much preferred, even if it does come at a cost. Plus, that cost helps support the game’s developer and publisher. Clearly the man (or many in the case of other versions of the game) behind Cave Story is still looking for more exposure if he’s willing to help Nicalis release another updated version of the game on the Nintendo eShop. 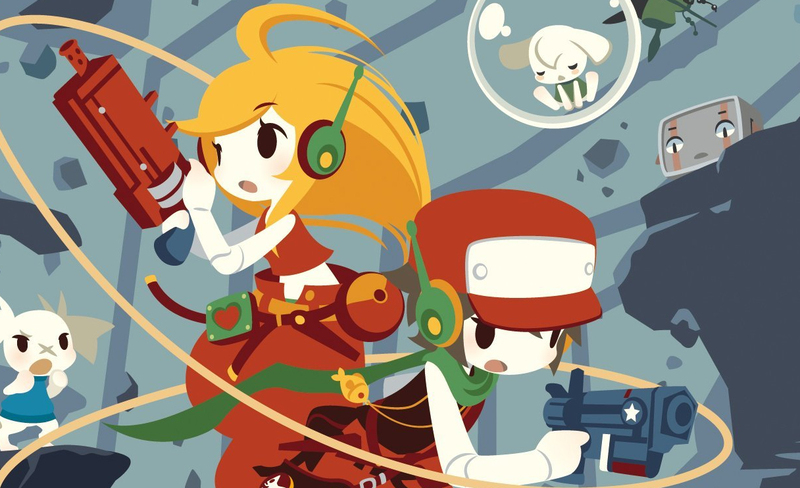 I’ll be honest: Cave Story slipped right under my radar until the wonderful folks at GoNintendo discussed the game at length when it was announced for release on WiiWare. This is the first version of the game I experienced, and I only played through the free version of the game because I wanted to see what the game was like going back to its roots. Indeed, the experience brought forth on my HD TV screen with Wii Remote or Classic Controller in hand is far superior than how the PC version felt to me. 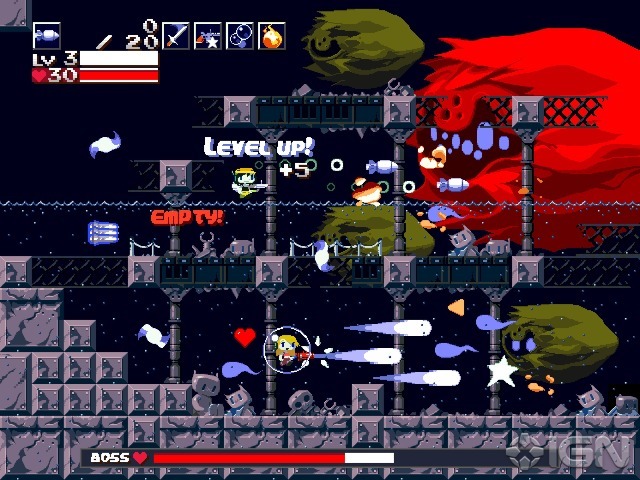 The game has a handful of added features, the most notable of which is “Curly Story”, which has you play through Cave Story as Curly Brace, a character you meet during your journey. Curly doesn’t add anything drastic to the conventional formulas of the game, but the altered script and a character portrait of Cave Story’s protagonist (who switches places with Curly in her story) are certainly nice touches. The game suffers a deficit in terms of audio, however. Many (myself included) consider the altered soundtrack of the Wii version of lesser quality than the game that came before it. The graphics and sound effects remain unchanged from one platform to the next, but I’m not sure why Pixel decided to “remix” the soundtrack when the original tunes are incredible all on their own. You can hear my favorite track from Cave Story below; I’ve included the WiiWare version of this song for comparison. 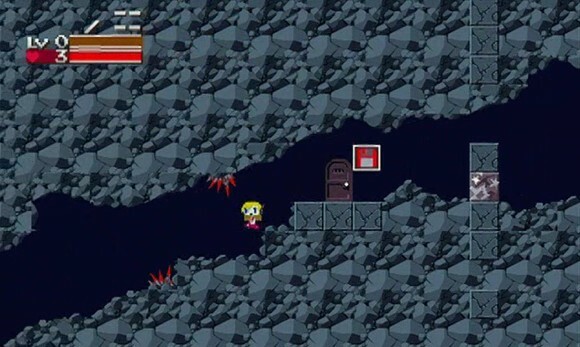 As no other version of Cave Story exists on consoles, I imagine this will be the definitive version for many. The music may be worse, but everything about this game is better experienced on the big-screen, controller in hand. And for those of you as dissatisfied with the remixed soundtrack as I was, you do have the option to choose between the remixed soundtrack and the original one! It is currently available on WiiWare for 1200 Nintendo Points. On the next page, things get a little dicey.